Should You Wait to Start the hCG Diet Till TOM (aka your period) is Gone? This is one of those questions that is probably up there in the “five most frequently asked questions hcgchica gets”. So I thought hey a BLOGPOST is in order! Why didn’t I think of this sooner? Maybe because it’s about….a woman’s PERIOD! Gasp! There I said it. Look both ways- is anyone listening? Hush now, this could be considered a kind of TMI type of subject. Perhaps in our effort to make it seem less icky, in the hCG diet community we call it “TOM” aka Time of Month, but really it’s just your menstrual cycle or period. Whatever the case, it’s important to discuss all these topics because they really do matter. It’s like when you go into labor- do you start worrying about the hospital gown being open in the back? Nope! You just want to get that baby out and have everything turn out alright! At least that’s how I felt. This is really no different, because just like having a baby, doing the hCG diet plan and doing it right can literally change your life. As always, when I answer a question like this I try to just present to you the different factors to consider, so that you can make the best decision in your situation. Why Did Dr. Simeons Recommend Starting the hCG Diet After a Woman’s Period Ended? I don’t know honestly. He didn’t really say and sadly he’s not around to ask. But I’m not going to leave you hanging. There are 2 reasons why I see wisdom in following this advice when possible. I think we ALL agree that the whole pms thing is almost always accompanied by cravings, more hunger than normal, weight gain/water retention, grouchy or weepy/emotional mood swings, etc right? Husbands tend to lay low or grin and bear it till it’s over. Being on hCG does not make you immune to those same PMS symptoms- in fact, sometimes they might even be worse. Because there’s no chocolate to comfort you. You can experience cravings for what you might normally indulge in when you’re pmsing, which I’m pretty sure isn’t 100 grams of chicken or 1/2 a grapefruit. 2. You can retain water on the hCG diet and not lose weight for a few days or even GAIN. While you can never really expect weight loss every stinking day on hCG anyways, despite claims (see my article on the #1 reason for stalls on the hCG Diet), PMS and your menstrual cycle is one factor that often causes a temporary stall in weight loss on hCG. The number one thing that people expect out of hCG in return for following it’s strict rules and resulting mental suffering are good results. When you’re weight loss is stalling for a few days or gasp, even goes UP, while you are eating just 500 calories a day, and then on top of that you feel like ALL you want in the world is a huge piece of chocolate cake and all you can have is cucumber with salt, well, you can see where this is going right? Frustration, disappointment, discouragement, your whole body just crying out to quit. These are the types of feeling and emotions that you might experience if you were to time your hCG round so that your period (or TOM) came during the first week or two of hCG. It’s honestly never going to feel EASY experiencing all this, but there are certainly times it will be easier than others, so choosing those times is smart. What If You Ain’t No Newbie to hCG? Not even just for newbies, each time one of us starts a new round of hCG, I feel that there is an adjustment period where you re-acclimate to the diet. You have a fresh reminder in your head as you go through those first days that yes, this protocol is NOT easy, yet it is so worth it because you are losing so well. My basic feeling is that experiencing any of this towards the beginning of an hCG journey, only 1-2 weeks in, could cause a higher “failure” rate at sticking to the protocol. It takes awhile to adjust to hCG each round (for me anyway) and it starts to feel easier after awhile, and that’s when I feel it’s best to deal with PMS- once you’re already in the groove of P2- less likely to cheat or give up when you see the scale stop for a few days or start wishing for chocolate cake- if you experience that 1 week into hCG I think it’s a lot easier to give up. Because of everything discussed above, I think IDEALLY you want to start hCG after your period ends. But there are also lots of other things going on in life that can also create problems for being on hCG successfully – like family get togethers and vacations. So in cases like these where you’re looking at your calendar and trying to see where hCG fits in best, you basically want to pick the slot of time that you will have to go through the LEAST temptations. So if it comes down to a choice of doing your round of hCG while on a 10 vacation to disney world with the fam or starting hCG a few days before your period starts, well, probably the latter will end being the lesser-challenging time. Now it’s your turn – what has been your own personal experience, good or bad, with the hCG Diet and TOM? Hi hcg Chicka. I watched your video on hcg and “Tom” aka a women’s period. The actual reason a woman is not to continue hcg injections or drops during her menstrual cycle, is due to the high level of progesterone in a woman’s body during her cycle prevents hCG from isolating fat reduction. Just wanted to share the knowledge. Thank you. I am doing the 2 month program and was scheduled to do a skip day this weekend, but I just had my period earlier this week and skipped injections on the heaviest flow days. Do I still need to skip again or should I wait to skip next weekend instead? This is Li-an, Rayzel’s assistant. Nice to meet you! I would suggest leaving the skip for next weekend. Good luck! Enjoying reading your information. I’m 49 and was told I was in menopause. However, I started Phase 2 on March 26 and started having TOM two weeks later. I hadn’t had a cycle in over a year. I have lost over 21 lbs. since starting. The problem is my cycle does not seem to want to make end. I am still taking the daily homeopathic drops. Any suggestions? What Rayzel hears with hCG is that sometimes does strange things with a woman’s period and for menopausal women, She has had occasional reports of spotting and such. She hasn’t had anyone say that their period came back as in regularly from hCG though. Once they are off hCG, their cycle goes back to normal, whatever that was. I take an oral monophonic birth control pill. I do not often skip the period week but many people suggest starting a new pack of pills at week four instead of taking the week of sugar pills. This prevents a period. Should I do this during my HCg weeks? I apologize I don’t know the answer to this Su. This is my 4th round of HCG over the last 6 years, no newbie here. I always start injecting at the end of my tom. This time although I am loosing weight rapidly I have very heavy bleeding that’s gone on for over a week now. I have skipped the last 3 days of injections but no change. In your opinion should I start taking them again or wait for this to subside? I have about 10 shots left. Thanks so much for your help! Wow girl, I’m not sure – it does sound like it’s best to wait until the bleeding goes away, that’s odd. Are you by any chance on a different dosage than you have been on in the past rounds? Do I stop injections while I have my period? What Rayzel does is she skip only 1-2 days on her heaviest flow days- She felt too nervous to skip longer than that! Some continue injecting through their period, others stop for the full duration. Skipping 1-2 days of heaviest flow is a reasonable approach. You do continue the 500 while on TOM without hCG. The idea is that your body actually produces a small amount of hCG while on your period – so in effect it’s like your body is providing you your daily hCG dose for those days and potentially taking your injection also could be too much hCG in effect causing hunger. That’s the idea anyway. Hello HCG Chica, I just started my First round on HCG and I’m on Load Day 2.. I did not gain any weight and did load. Do I need to do 3 Load days? I also started my TOM on day 2 of my load day. I never keep track of that. Do I stop taking HCG while on Tom? I don’t have cravings or bad PMS. I do not have heath issues. Re: the TOM, what Rayzel does is she skip only 1-2 days on her heaviest flow days- She felt too nervous to skip longer than that! Some continue injecting through their period, others stop for the full duration. Hope this helps you somehow! It’s okay to start when your period is almost finished. You’ll only be loading so it’s okay. Hi! Hope you can help with some info I can´t find anywhere. I’m on a 23 day cycle, this is my R1P2 day 12 and TOM is about to get here; I´m planning to stop the injections for the first two days and my question is, after I resume the injections should I continue on them until I do the 23 injections or I can stop at 21 since it will have done 23 VLCD days already? I usually gain a bit of weight during my period and thats because of water retention. Once the period stops, I will go back to my normal weight. If I were to stop taking the shots during my period and continue the VLCD, will I lose or gain any weight after the period stops? What Rayzel does is she skips only 1-2 days on her heaviest flow days- She felt too nervous to skip longer than that! Some continue injecting through their period, others stop for the full duration. Skipping 1-2 days of heaviest flow is a reasonable approach. You do continue the 500 while on TOM without hCG. The idea is that your body actually produces a small amount of hCG while on your period – so in effect it’s like your body is providing you your daily hCG dose for those days and potentially taking your injection also could be too much hCG in effect causing hunger. So you will still lose weight. That’s the idea anyway. This is my first time trying HGC. I read though all the material and somehow missed the part about not taking hcg on heaviest flow days. That’s okay. We had received some emails of starting the injections and then period started, they did okay. That may be the case. You might be retaining water because of your period. First of all I love your website so informative! My question is for those taking birth control pills. Has anyone skipped their period (by not taking sugar pills and continuing active pills) and started HCG and if they had any issues? I wanted to start R2 tomorrow but just got TOM today 🙁 should I go on and take my morning injection and start loading or should I just wait till TOM is over? Hi Doris! Rayzel thinks it’s totally okay- she thinks mostly the reason the Doc said to not do injections on period is because your body actually produces hCG when you’re menstruating- so she thinks he figured it was kind of like your dose of hCG for the day right from your own body- but honestly, very few people notice a big difference in hunger even if they do inject on period days (Rayzel only skip 1 day herself) and you’ll be loading anyway so it won’t matter! so….go for it! Yay! Sorry for the late reply. How are you doing? What Rayzel does is she skip only 1-2 days on her heaviest flow days- She felt too nervous to skip longer than that! Some continue injecting through their period, others stop for the full duration. Skipping 1-2 days of heaviest flow is a reasonable approach. Hey @Liz yes I do hear of hCG sometimes making funny things happen with women’s periods, and it seems to stop once hCG is stopped. I don’t know why exactly and it doesn’t happen to everyone, but yes I do hear of this fair often where the timing of a woman’s period changes, or is longer or shorter than usual. I got my TOM on day 21 of the injections. I was planning on stopping at day 23 of injections just because I have been loosing my momentum and wanted to get into P3 the right way. This is my 4th round. Round 3 didn’t end as well as I kept dragging it on as I wanted to loose those “last 5 lbs” and didn’t stabilize my weight like I did for my 1st and 2nd rounds. But now I’m not sure what to do? I’ve been off the shots for 2 day while TOM is here and after reading everything, I’m not sure whether to stick to phase 2 for a few more days or just go to phase 3. Btw- I’ve also gained 2.2 lbs in last 2 days. So of course, I want to get those off. I am on day 3 of the VLCD. I am scheduled to have a visit from TOM tomorrow. I have lost 7.3 lbs since before loading. I forgot to weight after loading. I decided to go ahead because I am going out of town in a month. Day 1 was allot of hunger, even though I thought I loaded allot. Day 2 was not bad, but today, Day 3, my stomach will not stop growling. I am hoping that maybe after Day 5, the hunger will subside some. Watching 7.3 lbs come off in just 2 VLCD days is motivating, even with PMS, so I am glad I started it early. I have been craving additional protein, and I may have to give in a little with that, but all in all, it seems to be working. I woke up this morning feeling like I had a hangover. Seriously. I had a headache, a bit dizzy, and my stomach was uneasy. I thought it was because the day prior I ate only 380 calories and was active in the evening cleaning and up and down stairs. In the morning I splurged and had half a cup of blueberries AND a melba toast (I know, such a splurge!) and lots of water. It wasn’t until about 11am when I had a green apple that I started feeling better. Then when I went home for lunch I realized my TOM had arrived! (Light bulb goes off). My TOMs tend to be super light as I am on an IUD, so I won’t bother to stop. However, I feel much more peace of mind now that there is a likely culprit. As for weight loss, I lost over a lb last night so I think I was retaining water the few days prior. This puts me in P2 day 7 with a total weight loss of 6.2lbs on the first day of my TOM (starting weight 150lbs). I don’t notice my period being any different than usual. If it does turn heavy (which would be unusual) I will stop taking the injections immediately. I realize everyone’s bodes are different and reactions are different but thought I would share mine in case it is useful to anyone. should I do a longer phase 2? Should I just keep taking the shots? I’m so frustrated today! I only have 5 more days to go and after stalling for 4 days I did an apple day. I lost 2 lbs but then the next day I gained a pound and now today 2 more pounds!!! I did start my period yesterday. Is this why?? Also should I go a few more days on the shot to get to my goal? After the apple day, I was 3 lbs away from my goal. Now I’m 6 lbs away from my goal and only 5 days left on the 3 week plan. I am SO glad I found your blog!!!!!! I started P1 on Monday, but by the end of day 2 on P1, I got Tom. I decided that I would continue to keep taking the drops. My first day of P2 was Wednesday. I weighed myself this morning and am down 5 lbs. As happy as I am with the results, I am concerned about having a heavier and longer flow as I am already under that category. I read previously that you recommend not take HCG for 1-2 days on the heavy days. My question is what do you recommend for someone who unfortunately has 5 straight heavy days and then it just goes away all together, stop while I have it? I’m on day 4 of my period. Should I take a break from the drops but stay on the 500 cal diet and try again with the drops on Monday? Any advice is greatly appreciated! 🙂 Have a great day! Have you heard of people not getting their period while on the hcg shots? I totally missed my TOM and started major stall that I couldnt break for the life of me. I stayed strict on protocol with lots of water and no cheats. Nothing worked for the 3 weeks I toughed it out for. Although I did lose 14lbs I ended up just giving up all together ? I am on Round 2, P2 day 4, I lost 5 pounds yesterday but today I’m up 2 pounds. I haven’t cheated that I know of. I had cabbage last night cooked in Coconut Oil. Do you think that had something to do with the weight gain? Just a guess but the coconut oil is probably the culprit. I am currently at day 4 of P2, and I have lost 14 pounds. I started the day of TOM. I’ve been drinking close to a gallon of water a day. Is this weight lose considered normal? I’ve read that I shouldn’t have lost weight because of TOM. Oh am I so glad I found your blog. I just started the hcg diet on Wednesday. I am on day 2 of phase 2 and TOM Shows up this morning (1 week early). What do I do? Do I keep taking the drops? Really nervous to stop taking them so early on. I don’t mind having a heavier period as long as I keep loosing weight. The drops I purshased included directions that say that I can start at anytime as long as TOM doesn’t fall on phase 1 or phase 3, and try and start at least 10 days before TOM is supposed to appear. Help! Of 12 lbs. 9 the first week. 3 the second. And now was up 2 lbs my first day of TOM. I didn’t take injection this morning and will not resume until it’s dine. Approx 4 days. Should I restarted brand new. With loading days and all? And do a short 21 day round or do I just start again. ? @Beez no need to start all over with loading and such. Just pick the vlcd and shots back up once your period is over. According to Dr. S re-loading is not necessary unless it’s been over 2 weeks since you were taking hCG. I hope that helps! That does help! Thanks for the swift reply! I was considering just starting again in 2 weeks exactly…. originally I was going to go all the way till Valentine’s Day/Bday. But now I think I should just start over. Would you say just start again -in that case? I won’t go crazy in between but won’t start the strict strict again until 2/16ish. I love this diet and want to do it correctly. I see that it can work !! And excited for the best results. Hi, my daughter started HCG when she was on her period (I didntknow that she should have waited). After being on her period for 2 weeks she decided to stop the shots until her period stopped. It finally stopped and she started the shots again today. Her period started again and was very heavy. She is upset and doesnt want to give up. Any advice? So if i hv to do 175ius then 7units i hv to plunge out.right?? So can I substitute protein with my herbal life proteim shake mixed with water or no?? Pls temme one plan of 500 calories including herbal life shake. Dinner can b one protein shake,one serving vegetables and one fruit serving…. Thanks for the kind compliments! You did good on your mixing girl with what you had, good job. I think I put the number of units for iu’s with those odd syringes in my blogpost here: http://hcgchica.com/finding-your-hcg-diet-dose-with-a-40-unit-1-mlcc-syringe/ yes it says 7 units (I had to look! I do the math once and then forget it lol) I can’t tell you in advance how much weight you will lose in how many days, no one can. My recommendation is to appreciate all the weight loss you get and just respect your body and let it do it’s thing. When you get to your goal, whenever that is, rejoice! Ideally as a vegetarian, yes you want to find a source of protein that is low in carbs. I don’t have time at the moment to design an actual menu with that shake I’m sorry! What you suggest yourself seems about right though! Hey girl! Thank you so much for all the help. I’ve spent a gooood amout of time on your blog/vlogs/etc and it’s been great! I can’t seem to find the answer to my question though. I would like to know, if because I’m taking hCG- if I took a pregnancy test.. will it be positive? I’m one of those weird people that always thinks/worries they are pregnant. *guilty as charged* so! it freaks me out knowing it would read “pregnant” regardless if I was or not. I read through all of this info and everyone’s postings below, but I guess I’m still a little iffy. I too started shots five days ago, not knowing I was in the middle of PMS due to irregularity. My TOM hit yesterday pretty bad, probably one of the worst times its been. I have been resuming shots because yesterday, it hid midday and usually my first day is the worst so I took it this morning as well. Yesterday was so bad I ended up eating some cookies, but I did it with gusto and refuse to feel bad about it so I’m not. I know Dr. S recommends stopping shots or at least for two heaviest days, but continuing diet. I guess I’m confused if I should just put the thing on pause for one or two days including diet and restart, or if that wouldn’t do much? My cravings today are still pretty through the wall, and I’m usually very good with fighting through them so I know it’s my period talking (this is my second round). And the argument is, if I knew my period was coming last week, I would’ve waited until it was done anyway to start the whole thing as recommended? Need some sage advice! Thanks! Hi, after 4 days on injections I started my cycle. I stopped the injections and the 500 calorie diet. should I load again after my cycle stops? Hi @kishamason:disqus no loading is necessary again. Dr. S said a person could even take up to a two week break from hCG without re-loading. I hope that helps! You just resume the injections. Although, for next, time, technically the 500 cal diet is supposed to be continued while on your period. Your body apparently makes a small amount of hCG while on your cycle. I was doing some research myself on the subject and in a few places it said that it could make your cycle heavier than usual. I too started the week of PMS not knowing due to the fact of irregularity. And when (in my house) Aunt Flow comes for her monthly visit I usually don’t even see her just the symptoms. But this time not sure as to if it is the HCG or just my irregularities. I saw Aunt Flow as soon as she came through the door. I was wondering if you had heard about Aunt Flow getting heavier or staying past her welcome. And just a little side bar now that I look back I have two sister So that meant my Dad had Aunt Flow living with him year round. Poor Man. Hey @glasgirl65:disqus YES – I actually have had a number of people more recently tell me their period kept going on much longer than usual when they continued to inject during this time – so definitely advised to stop at least on heaviest flow days. Poor man is right! :)- Mine lately has been every 25 days instead of every 28 days and I’m like what?? Way too frequent for me! Do you continue the shots while on your period? Your videos are very helpful and have answered a lot of questions! I am half way thru a 40 day round but am due to start my period soon. I would like to know if I should stop taking the shots but continue the 500 calories once I start TOM. Or continue taking the shots and just do the one day break. Hi @jenschindler:disqus – the way I ended up doing it was to skip only 1-2 days on my heaviest flow days- I felt too nervous to skip longer than that! Some continue injecting through their period, others stop for the full duration. I think skipping 1-2 days of heaviest flow is a reasonable approach. You do continue the 500 while on tom without hCG. The idea is that your body actually produces a small amount of hCG while on your period – so in effect it’s like your body is providing you your daily hCG dose for those days and potentially taking your injection also could be too much hCG in effect causing hunger. That’s the idea anyway. Hope that helps! I am on Depo Provera as contraception (a shot every three months), however, In the book Pounds and Inches it says oral contraceptives are okay. Would this make the HCG not work for me? Hi @photogirl333:disqus as far as I know, most women continue what medications or birth control they are on when doing this protocol. Whether it affects the pace of the results, that could be of course, but I don’t have any specific data about that. and the old fashioned way of losing weight was not working! Will the weight loss show up after my period or does it cause a genuine stall while menstruating? Im doing so well with a 6 pound loss already so i dont want to stop! Thanks in advance! Hi @saraperi:disqus – people do tend to have weight loss stall a bit for a few days on the menstrual cycle- not always, but more often than not. 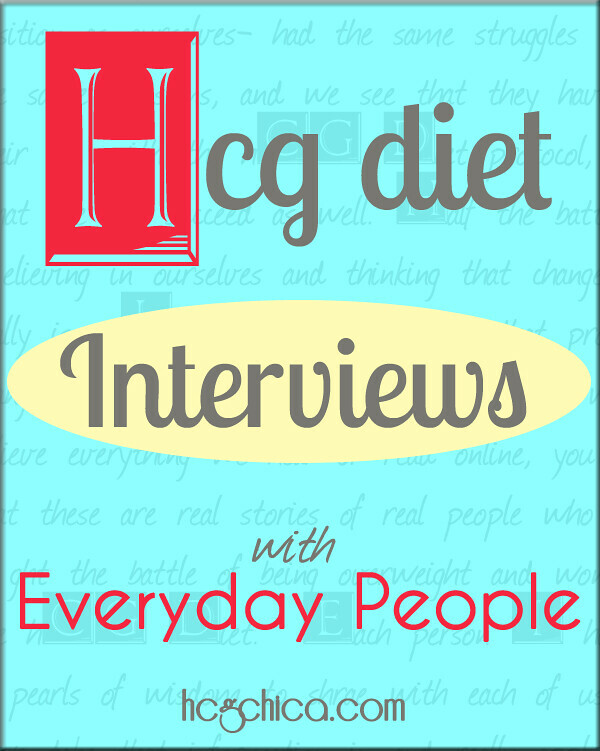 I usually only skip hcg for 1-2 days of my heaviest flow- I hope that helps! So is it ok to do HCG while on your TOM? I’ve read mixed reviews! I just started R1P2 (on my 3rd day of vlcd) and started my TOM yesterday. But your example was perfect bc we are taking a family trip to Disney in less than a month so this was the best time! I was miserable so I had to do something! I’m loving your website btw! It is soo helpful and full of information! I actually started TOM about 3 days after I started my first round without any issues at all. I think part of that is due to my Vegan diet, I dont have normal cravings or blood sugar dip hormone imbalances. Additionally, my essential oils are always my mood busters and up lifters and realy got me through any crankieness normally associated with the first couple weeks of hch! Hey lady! That’s great you don’t experience much in the way of PMS symptoms – I can’t say that I do myself anymore much either as far as cravings go, but I DO still experience water retention some months. Great that you are using essential oils in that way! Hi HCG Chica. Love your work! You are a great help to all of us. 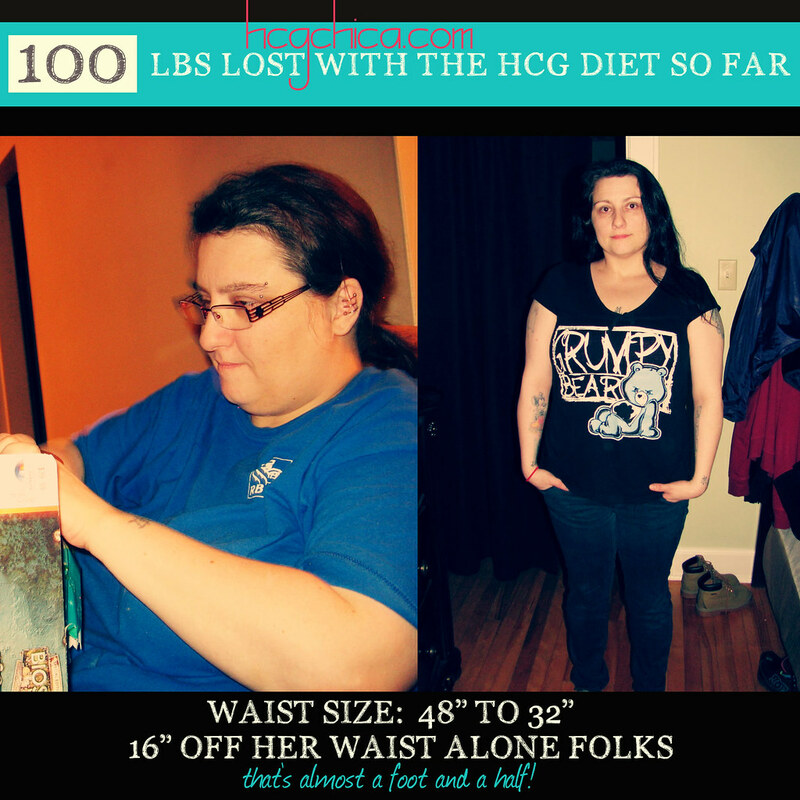 This is my second HCG, I did one last year. And then in the mid year I tried drops (now on injection) and drops were a disaster. Anyways. I am experiencing hunger and stalls I am also late on my period (definitely not pregnant though) so I am on my day 6 it’s been very hard, but I have been very strong not cheating and staying in my calorie restriction. But my period doesn’t start and I am stalling. What shall I do? I am desperate. The shots are super expensive and I really wanted to lose 15 pounds. Looks like I will not be able to do so. Please help!! Have you had a chance to see Rayzel’s detailed article on hCG dosage yet? If not, that’s the very best place to start.